On 14th April we popped down to Halebank Park. We had heard good reports of the area from other Pickerings Pasture walkers but had not visited ourselves before. It isn’t going to replace Pickerings Pasture in our affections but it will certainly add to the local experience. The initial impression was of an open space with many young trees but no mature woodland. 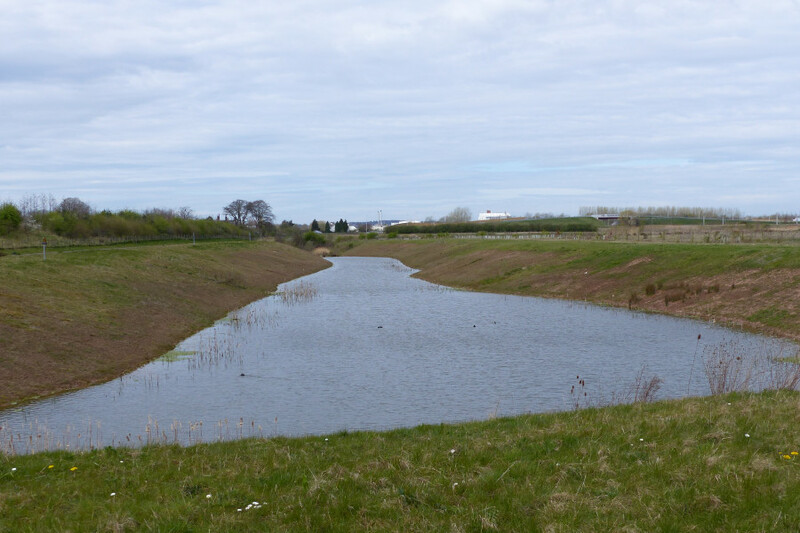 We entered from Halebank Road and as the track turned to the right there is a large drainage ditch. In the distance we could see other pools. 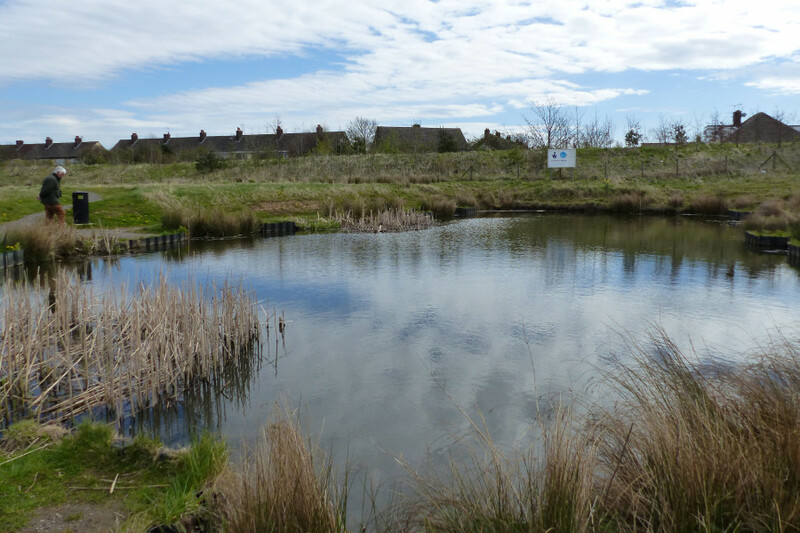 A fishing pond in one corner will be an excellent place to see dragonflies later in the year. 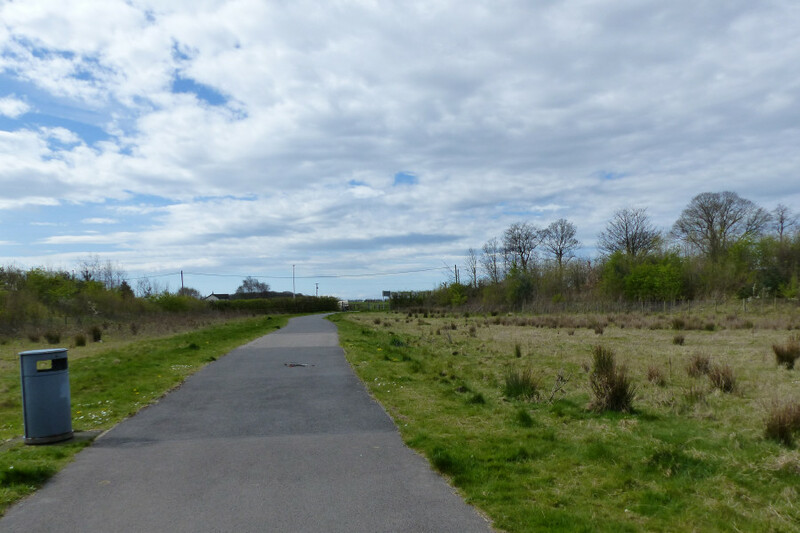 There is a tarmaced path around the linear site which also has access points into Blackburne Avenue and Clap Gate Crescent where there is a small car park. It was relatively undisturbed with only two dog walkers encountered. Unfortunately there are signs that the area beyond, which is fenced off, is disturbed – broken fences and some well-used tracks! The undisturbed rough land and pool. There were a number of species encountered that are not found at Pickerings Pasture. 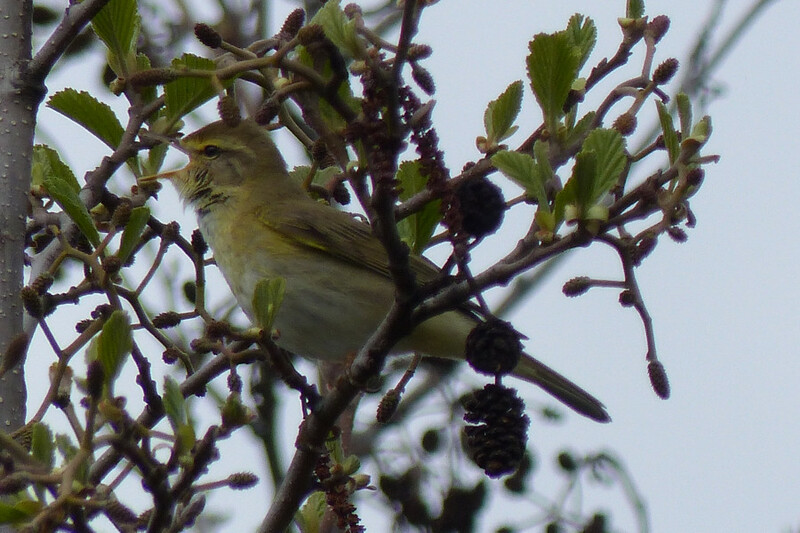 Skylarks were singing and at least four pairs of willow warblers were on territory. 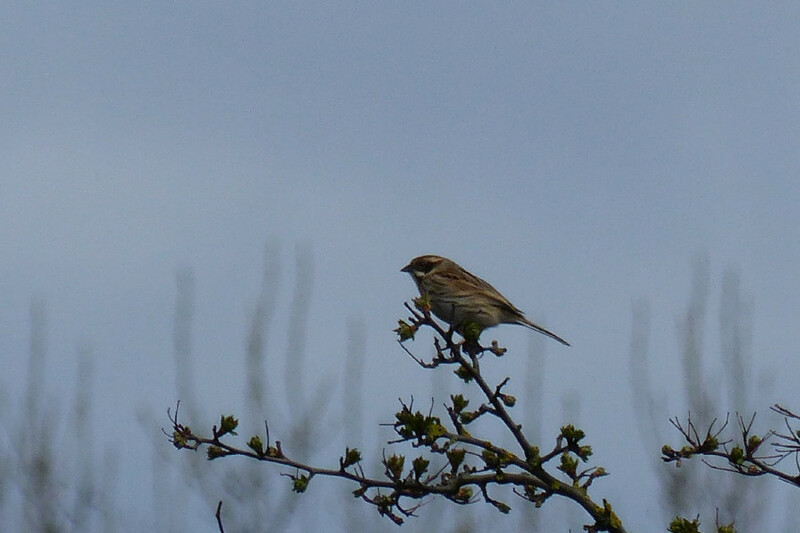 There were also several pairs of reed buntings. 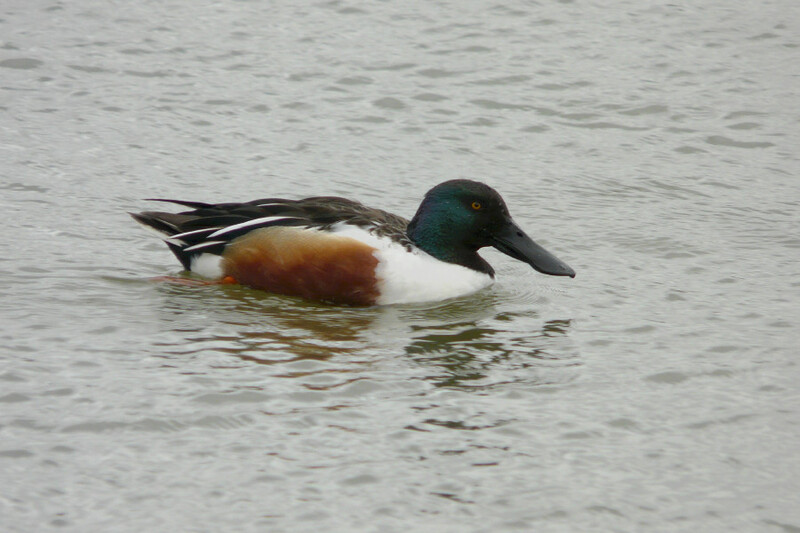 We watched two males and a female shoveler fly in from Carr Lane Pools – nearby as the ducks fly! A small flock of meadow pipits was probably on passage. 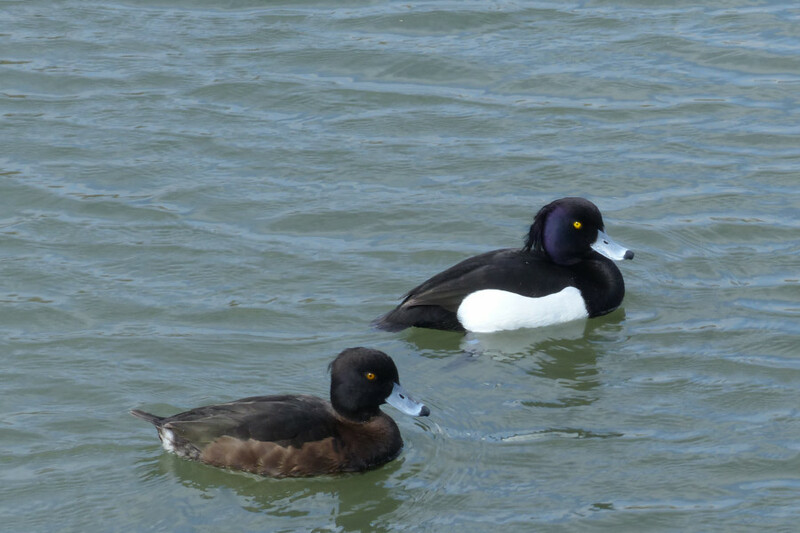 Little grebes and tufted ducks were on the drainage pool, as were coots and moorhens. 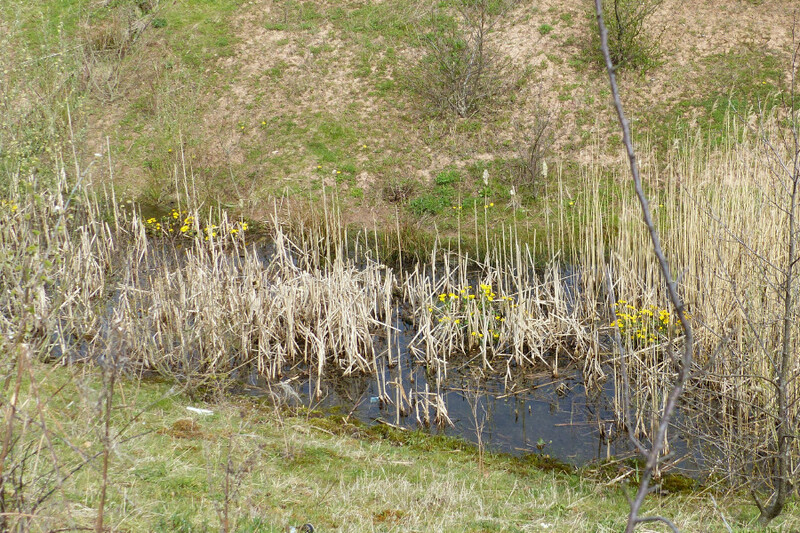 Marsh marigolds in the drainage ditch. There was a good selection of wildflowers: coltsfoot, dandelions and marsh marigolds made a good splash of yellow as we walked round. The butterflies seen were brimstone, peacock, small tortoiseshell and small white. 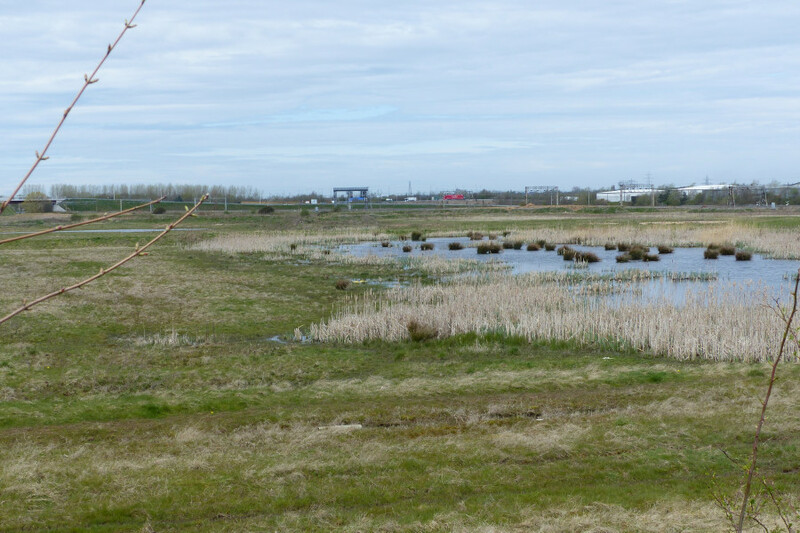 The area within the fence is already earmarked for industrial development but at the moment is a brilliant place for wildlife: particularly if it is left undisturbed. There is a really good reed bed and plenty of rough grassland.